Definition at line 3720 of file commctrl.h. Definition at line 3722 of file commctrl.h. 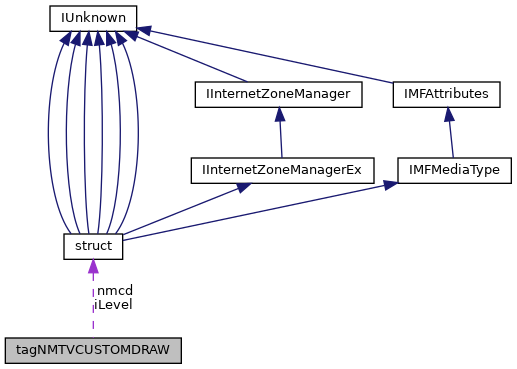 Referenced by parent_wnd_proc(), TREEVIEW_DrawItem(), and TREEVIEW_SendCustomDrawNotify(). Definition at line 3723 of file commctrl.h. Definition at line 3724 of file commctrl.h. Referenced by TREEVIEW_SendCustomDrawItemNotify(), and TREEVIEW_SendCustomDrawNotify(). Definition at line 3721 of file commctrl.h. Referenced by parent_wnd_proc(), TREEVIEW_SendCustomDrawItemNotify(), and TREEVIEW_SendCustomDrawNotify().